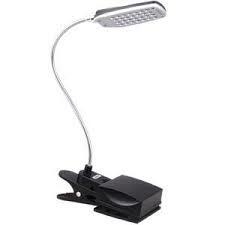 The Daffodil ULT300 Dual Powered USB Light is a very versatile lamp. It can be powered by battery, from the USB port on your computer or even using a USB adapter that is plugged into an electrical socket. This light is flexible, use the clamp so you can place it onto any convenient surface. The brightness of the light can be varied. It is very easy to use this light without disturbing other people. It has a flexible ‘Goose’ neck so you can point it to exactly the correct area. Don’t forget LED bulbs are environmentally friendly, they are more energy efficient than traditional bulbs and they do not get hot. The light can be directed at what you are looking at. This is a very useful and versatile light to have in the house. The clamp is good for the weight of the lamp and has a good enough grip to avoid it slipping off. 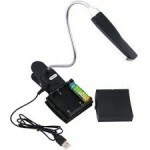 Ideal for sitting on the desk or clipping onto the laptop.Portability on battery power ideal for “searching”.